Rick Pitino couldn’t believe his good fortune. 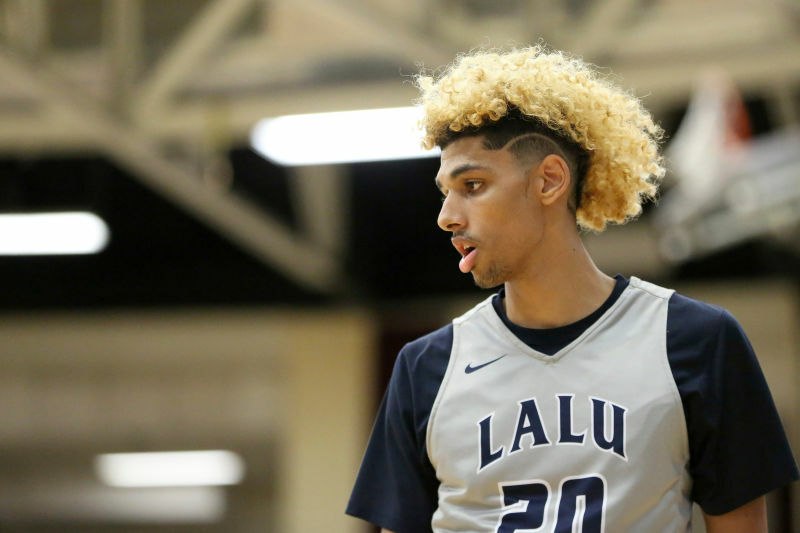 For months, high school basketball star Brian Bowen had been pursued by the sorts of programs that would ordinarily pursue such a talent—Texas, Arizona, Michigan State. Then, in early June, the lanky, 6-foot-7 small forward suddenly and unexpectedly committed to Louisville, where Pitino was coaching. It hadn’t even been a week since he’d made an unofficial campus visit. Or not! According to federal prosecutors, an Adidas executive agreed to pay Bowen’s family $100,000 if he chose to play at Louisville, an allegation that has already cost Pitino his job and produced criminal charges as part of an ongoing, wide-ranging FBI investigation into college basketball’s black market economy in teenage prospects. Still, Pitino—who claims he didn’t know about Bowen’s signing bonus, and has the polygraph results to prove, uh, absolutely nothing—had every right to crow about Bowen like an excited shopper who just found an Armani suit buried in the clearance rack at a TJ Maxx. Why? Because $100,000 for an elite college basketball player is a tremendous freaking bargain. It’s no secret that the National Collegiate Athletic Association’s amateurism rules suppress above-board athlete compensation. Bowen’s supposed price tag shows that players are being shortchanged under the table, too. Let’s do the napkin math. First, compare NCAA basketball to the National Basketball Association—or any major sport where athletes enjoy their full rights and protections under antitrust and labor law, instead of being treated like second-class American citizens. Economist Dan Rascher, an expert witness in the O’Bannon case, estimates that Division I football and men’s college basketball players only receive about 10 percent of the $10-12 billion of annual revenue that they generate. By contrast, NBA and National Football League players receive roughly 50 percent of total league revenues. Three years ago, the National College Players Association, a campus athlete advocacy group, applied that same split to athletes in Football Bowl Subdivision conferences and estimated that the average basketball player was worth $289,000 a year. Of course, Bowen isn’t an average player. He was a McDonald’s All-American, a finalist for the Naismith national player of the year award, and led his high school to the No. 1 spot in USA Today’s national rankings. Moreover, his reported suitors weren’t average college programs. According to the Wall Street Journal, Arizona, Texas, and Michigan State are among the country’s 20 most valuable; in 2015-16, Louisville basketball generated $45.6 million in revenue, tops in the nation. For schools at the highest level of the sport—that is, top 10-caliber programs that need the very best recruits to remain elite both in terms of winning lots of games and reaping the financial rewards that come with winning lots of games—the same NCPA study estimates that the average player is actually worth about $900,000 a year. And even that amount may be selling Bowen short, because if Louisville’s players received 50 percent of their school’s basketball revenues, they’d each be worth $1.72 million annually. Also worth noting: in America, the 50-50 revenue split seen in the NBA and NFL is the result of salary caps and other anti-competitive, wage-suppressing rules that would be illegal under antitrust law save for the fact that they’re collectively bargained between ownership and player unions. In Europe, on the other hand, soccer clubs unencumbered until recently by such rules generally spent about 70 percent of their revenues on players. Why does this matter? The NCAA and its legislative allies have fought hard—and so far, successfully—against campus athlete unionization. So in a world without amateurism and without some sort of college sports Collective Bargaining Agreement, Bowen could be worth as much as $2.46 million (70 percent of Louisville’s hoop revenues, split evenly among 13 players). Maybe you’re thinking, wait a second, Bowen is getting an education. Can you really put a price on that? Yes, we absolutely can. That’s how the entire higher education industry works! At Louisville, the total cost of Bowen’s athletic scholarship—tuition and attendance for an out-of-state student—is $41,000. Add that to Bowen’s alleged payola, and we’re still at $141,000—well below our free market floor of $289,000, and gargling methane somewhere down in the Marianas Trench relative to our estimated ceiling of $1.72 million. Even when you account for illicit payments, Bowen and his peers are getting a raw deal. This isn’t new. The history of college sports pay-for-play scandals is a history of athletes getting cake crumbs while everyone else splits the deed to the bakery. Cam Newton’s father, Cecil, allegedly asked for up to $180,000 for his son to sign with Mississippi State; in his lone season at Auburn, Newton won the Heisman Trophy, led the Tigers to a national championship, and was estimated by Sports Illustrated to be worth around $3.5 million to his school’s football program. Between 1988 and 1992, University of Michigan basketball booster Ed Martin reportedly gave $280,000 in cash and gifts to Chris Webber—and the future NBA star repaid (!) at least $38,200 of that total. Around that same time, University of Kentucky assistant coach Dwane Casey got into trouble for sending a cash-stuffed envelope to the father of top recruit Chris Mills. How much money was inside? A thousand American dollars. College athletes come cheap, is the point, and that shouldn’t be surprising. By prohibiting competitive bidding for their services, amateurism tanks their value; by creating a black market for the bidding that takes place anyway, it opens the door for additional middlemen—runners, relatives, AAU coaches, anyone with a pulse and a semi-credible claim to influence and access—to scoop up money that otherwise would go directly into players’ pockets. Case in point? According to one complaint filed in the ongoing FBI investigation, Auburn associate head coach Chuck Person allegedly accepted a total of $91,000 in bribes from a financial advisor and business manager in exchange for directing his players to those managers when they turned pro. Person passed on just $18,500 to the families of two athletes. That’s a heck of a markup—the kind of sweetheart deal usually reserved for athletic departments such as Louisville’s, which signed a $160 million sponsorship agreement with Adidas in August, or the NCAA itself, which has a March Madness television contract worth more than $1 billion a year. When the Justice Department announced its first charges at a press conference last month, Joon Kim, the acting U.S. attorney for the Southern District of New York, said that the defendants “allegedly exploited the hoop dreams of student-athletes around the country, treating them as little more than opportunities to enrich themselves,” and in doing so, they “sullied the spirit of amateur athletics.” He was half right. Athletes like Bowen are being exploited, and it’s criminal. But prosecutors are ignoring the primary culprits—the schools and coaches and administrators and lawyers responsible for amateurism. And about that spirit: in a 2006 speech, NCAA president Myles Brand declared that “amateur defines the participants, not the enterprise.” The system is not being sullied, here. It’s working exactly as intended, and luck has nothing to do with it.